Few things are more annoying than your phone dying on you, except maybe forgetting where you’ve parked your car. Luckily, The Zus Smart Car Charger and Locator solves both issues in one fell swoop. And it’s at its lowest price yet, meaning now is the perfect opportunity to eliminate these hassles from your life. For a limited time, you can grab a Zus for just $29.99 from TNW Deals. Designed in Germany, the Zus is the smart charger that will leave you wondering how you ever lived without it. It can quicky charge two devices simultaneously, and works with a companion app that can guide you to where you’ve parked. Just follow the directions. The Zus lights up in the dark, allowing you to use it as easily at night as you would in broad daylight, and comes with a built-in cooling system that allows it to work in the warm summer months. And it’s the only charger to meet high-grade military standards, with a titanium coating that ensures you’re getting a seriously durable product. ZUS by nonda from Nonda on Vimeo. Find your car and charge your phone with surprising speed — all with the same device. 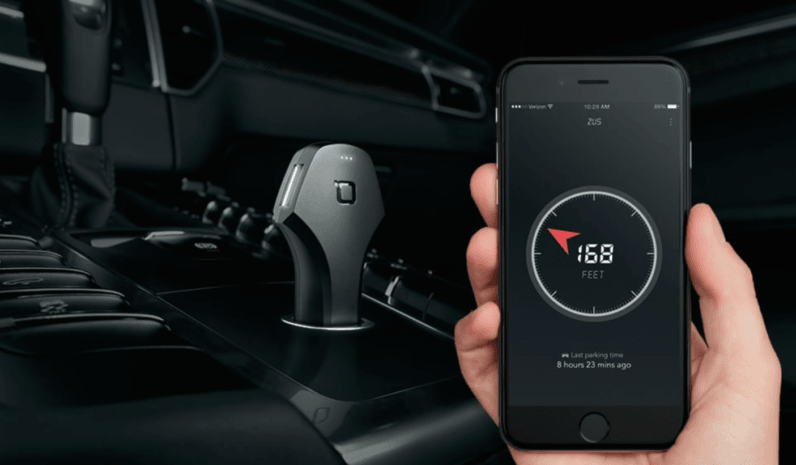 Grab the Zus Smart Car Charger and Locator, now 40% off for a limited time from TNW Deals.